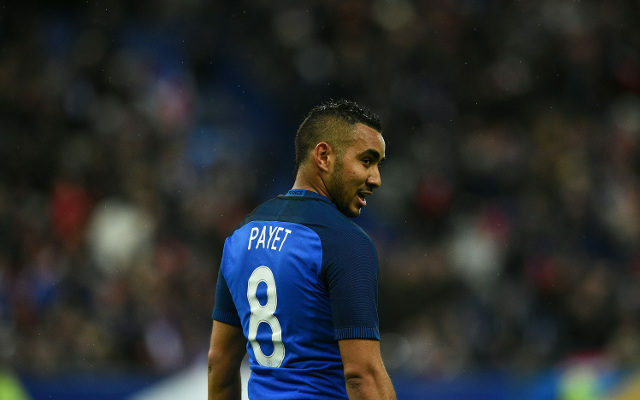 France looked like they’d have to settle for a draw in their Euro 2016 opener, but Dimitri Payet had other ideas. France had struggled for large parts of the game, proving wasteful in front of goal. Romania looked set to leave with a well earned point, but Payet’s phenomenal strike into the top corner secured the win for the home nation. Les Bleus had taken the lead through Olivier Giroud earlier on in the second half, with the Arsenal star rising high to head past the keeper. Payet incidently provided the assist for Giroud’s goal, playing an even bigger part in France’s win. They didn’t hold the lead for long though, with Romania soon getting an unlikely equaliser. Patrice Evra foolishly and needlessly stuck a leg out in the box to give away a penalty, which Bogdan Stancu slotted away calmly. There were a number of half chances for France after that, but none that looked like being taken. Thankfully for the home fans Payet stepped up, moving centrally after Manchester United’s Anthony Martial was brought on. Payet is phenomenal at making space for himself, and he did it superbly for the goal. He turned what looked like pretty toothless possession into a shooting opportunity, and the strike was one of pure class. It proved to be the winner, and when Payet was substituted right before full time he left the pitch in tears to a standing ovation. France certainly didn’t look like tournament favourites, but they got all three points and that’s all they’ll care about.